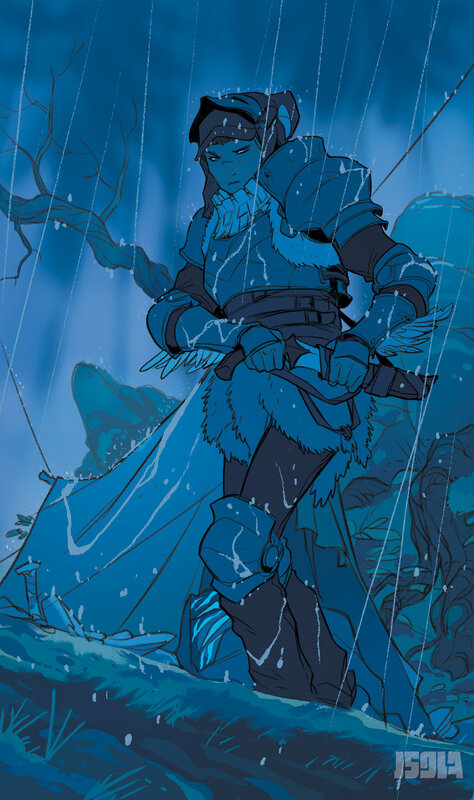 GOTHAM ACADEMY ALUMS BRENDEN FLETCHER AND KARL KERSCHL REUNITE FOR ISOLA—A COMIC TWO DECADES IN THE MAKING. Acclaimed writer Brenden Fletcher (MOTOR CRUSH, Gotham Academy) and Eisner Award-winning storyteller Karl Kerschl (Gotham Academy, The Abominable Charles Christopher) team up with colorist Msassyk (Gotham Academy) and letterer Aditya Bidikar (MOTOR CRUSH) for the lush, breathtaking fantasy ISOLA. "Karl and I have been friends since we were 10 years old,” said Fletcher. ISOLA #1 (Diamond code: FEB180500) hits comic shops Wednesday, April 4th. The final order cutoff deadline for comics retailers is Monday, March 12th.